YBCE is a design-build general contracting company organized in 1997 by its founding partners, Joe Youngblood and Erwin Barrett, PE. YBCE is licensed for heavy, municipal, and building construction..
YBCE has design, construction, and project management experience in site development, marine, commercial building, and industrial building and infrastructure projects. 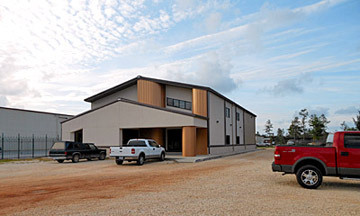 They self-perform concrete, steel erection, and custom wood works (to include casework, doors and specialty moldings). YBCE has maintained a slow but steady growth throughout its years of operation allowing it to keep its operational expense margins to compete on small projects as well as mid-cap size projects. They specialize in working with owners to develop building programs to meet their functional needs while designing to their financial goals.